Looking For a More Exciting Way to Raise Money? 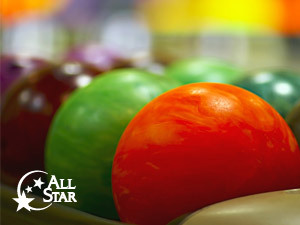 All Star’s fun and energetic atmosphere makes it the perfect place to host your next fundraising event! Hosting a group bowling party is a ton of fun and a breeze to pull off. You'll earn vital money for your group and have a great time doing it. This program is available to non-profit organizations or schools only. All Star may require proof of non-profit status, and reserves the right to accept or refuse any fundraising event.